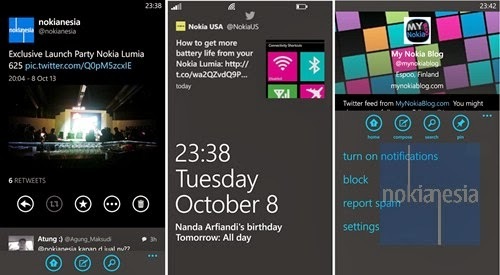 Official Twitter client application for Nokia Lumia with Windows Phone 7.x and 8 get an update version to version 3.0.0 and now is available for free at Windows Phone Store. 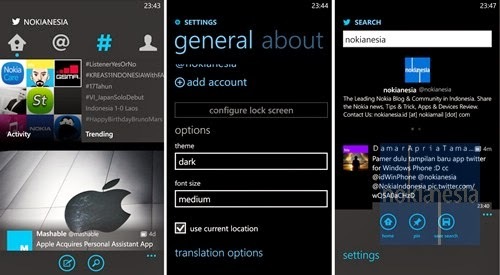 Twitter version 3.0 brings several new features, especially for dark theme lovers, now you can switch to dark theme on this version. You can also pin your favorite twitter account and get a notification when the account update status. 13 New languages also added to Twitter version 3.0.